Gardaí investigating the circumstances of a farm death have arrested a man this morning. Chrissie Treacy (75) was killed on her family farm at Boula, near Portumna, Co Galway, in April after an incident in which she was struck by a vehicle. The incident happened shortly after 4pm on the Friday, April 27. 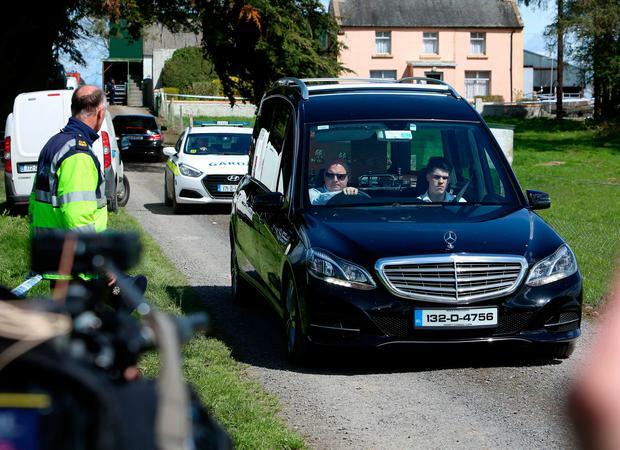 Gardai and emergency services went to the scene where she was pronounced dead a short time later. Locals said a teleporter vehicle was working on the farm when the incident occurred. Gardai investigating the circumstances surrounding the death of Ms Treacy have now arrested a male this morning. The man, in his fifites, was arrested in Co. Galway and is currently detained under Section 4 of The Criminal Justice Act 1984 at Loughrea Garda Station. Speaking at the time, local priest Michael Byrnes said the community was “stunned” by her death. “This is a terrible tragedy. To say this small community was stunned would be an understatement,” said Fr Byrnes. “People are genuinely saddened at the death of this warm, hard-working lady who was well known,” he added. And, also paying tribute at the time, former parish priest Fr Brendan Lawless said: “It was a very tragic accident. She was the last of her generation on the farm. Her late brothers won cups and prizes for their cattle. “She was very kind and generous to everybody and regularly attended day care in the area,” he added.